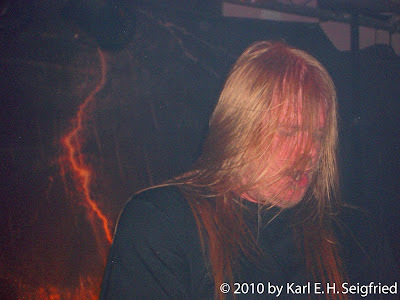 Since the recording of the 1993 demo Thor Arise, the members of Swedish metal band Amon Amarth have established themselves as the preeminent practitioners of the musical genre now known as Viking metal. 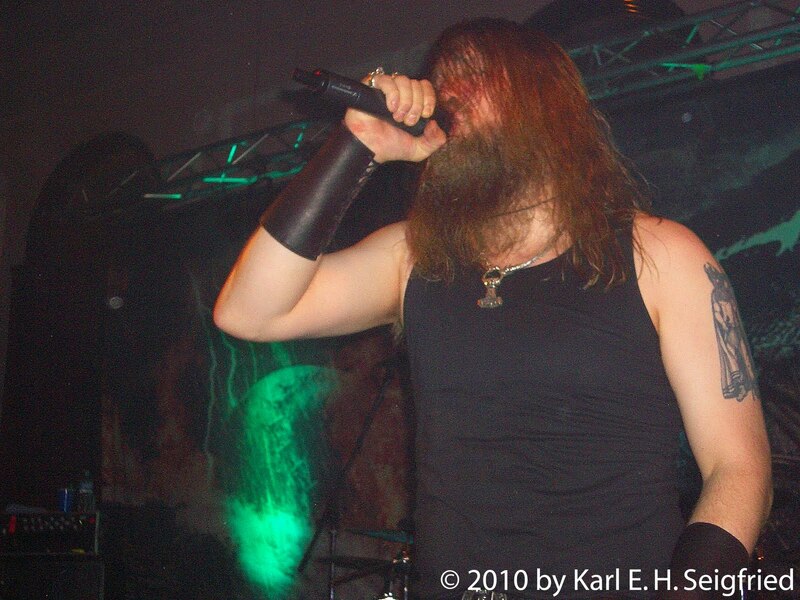 On seven full-length recordings, including With Oden on Our Side and Twilight of the Thunder God, vocalist Johan Hegg’s gruff voice can be heard telling tales of Viking raids, Norse gods, and the clash between the Old Faith and Christianity. When Amon Amarth came to Chicago to perform a concert in early 2010, Johan Hegg sat down with Dr. Karl E. H. Seigfried of the Norse Mythology Blog to discuss his lyrical use of the mythology. 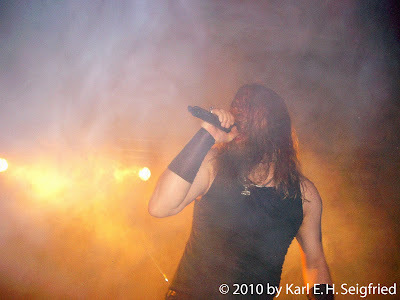 The discussion covered such diverse topics as the relevance of Norse mythology to life in the 21st century, the relationship between religion and metal, the difference between American and European political systems, the limitations of religious education, and the future of Amon Amarth. All photographs were taken by Dr. Seigfried at the band’s performance in Chicago. KS - In “Thousand Years of Oppression” and “The Arrival of the Fimbul Winter,” your lyrics have lines straight out of the Poetic Edda. 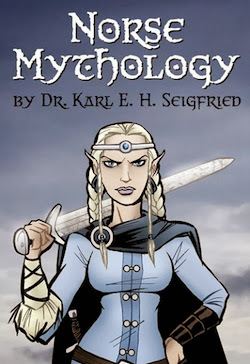 KS - Much of the mythological material that has survived comes from Iceland, and the Icelanders still have living folk traditions that are related to Norse myth, like the elves and the huldufólk (“hidden people”). Do you know of any specifically Swedish folk traditions connected to the mythology? JH - There are a lot of traditions in Sweden, but I think that a lot of this stuff that we think of as genuinely Viking heritage, you’ll find it more in Iceland, definitely. But there are some traditions still left, just common stuff. Even in Christmas traditions, or Midsummer’s, there is some pagan stuff or old Viking stuff woven into it. The Christmas ham, for instance, is an obvious symbol of Sæhrímnir from Valhalla, and stuff like that. I wouldn’t say that there is anything in society at large that lives on. KS - In your lyrics, do you use any Swedish sources, or is your material mostly from the Edda? JH - The stuff that I’ve used in my lyrics which is connected with Sweden is probably more historical stuff. JH - You can say Odin or Oden. In Sweden, I grew up saying Oden with an e, instead of an i. That’s why I use it. JH - Tor, yeah, without an h. I mix it up a little bit. I don’t take it so seriously. Ha! KS - The demo, Arrival of the Fimbul Winter, and the mini-CD, Sorrow Throughout the Nine Worlds, are specifically about Ragnarök. On all of your albums, there are songs that make reference to the subject. 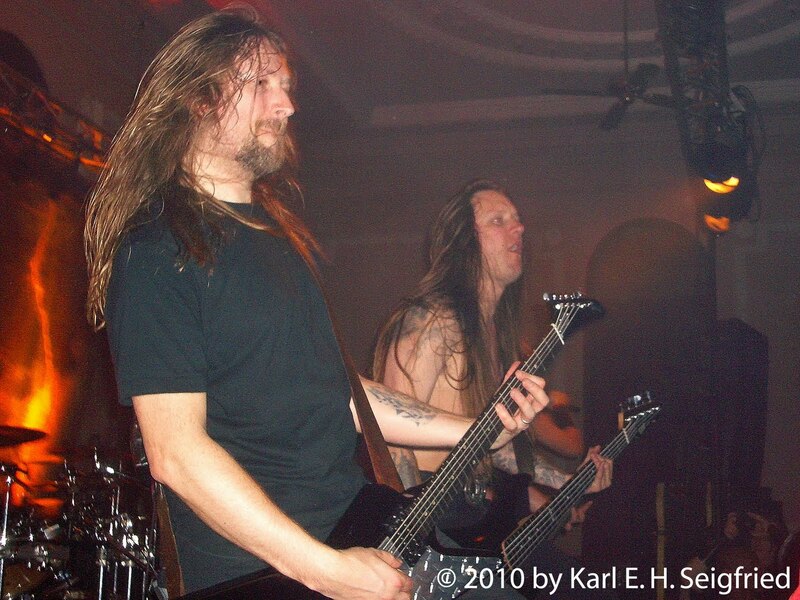 It’s obviously a great lyrical source for metal bands, because it’s the end of the universe. JH - Yeah, it’s a great topic. Ha! 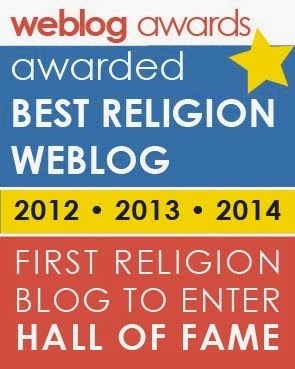 KS - Do you think that the idea of Ragnarök has any relevance to 21st-century life? Can it be read as metaphor for our times? JH - Just look what’s going on in the world today, seriously. Of course there is some relevance there. There is some stuff that you can really think about. Then again, you can interpret almost anything into anything. That’s what fundamentalist Muslims and Christians do. They interpret the Bible to suit the world around them, and you can do that with the Edda as well. The Army of the Dead could potentially be the suicide bombers and all those guys. They’re basically dead, and they’re an army of people. You can interpret anything to suit the world at large. Definitely, I think there’s some stuff in the Edda in general, not just around Ragnarök, that you can relate to everyday life today, as well. Specifically, I’m thinking about Hávamál, for instance. I think it’s a great source, for me anyways, of philosophical inspiration. I’m not a religious guy – I’m actually an atheist – but I think that the Edda and the Norse mythology is very interesting and it’s very inspiring, on a philosophical thing.